An interview with RCR Wireless at MWC Barcelona 2019. 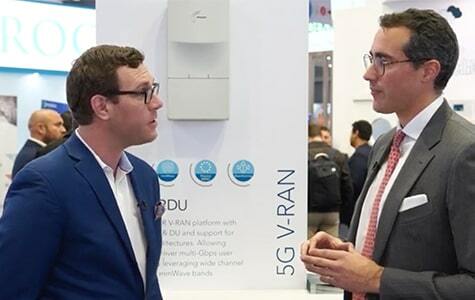 At MWC this year, Airspan launched its Air5G platform capable of delivering more than 6.5 Gbps with support for mmWave and Sub-6 GHz—providing advanced features like Massive MIMO, and Open V-RAN architectures, which allow operators flexibility when choosing radio and software providers. They also announced next-generation products, including Magic Box/AirUnity, AirDensity, and AirSpeed, which will now support 5G NR relay with Qualcomm chipsets.